A potent combination of all-natural CBD in Pure Emu Oil and flavored with organic pineapple extracts for ultimate bioavailable delivery. 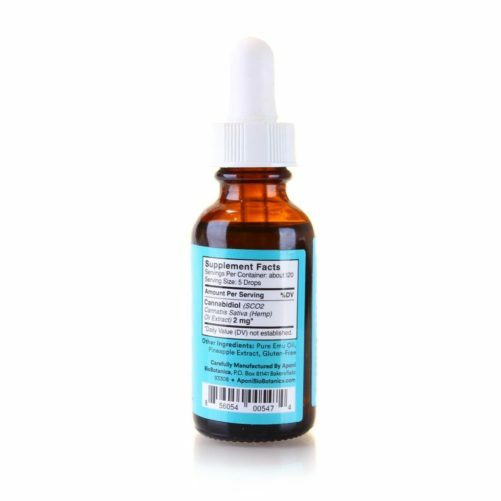 This elixir is formulated to strengthen cognitive function, focus, and concentration, and with regular use improves overall well-being by creating a sense of calm, reducing mild anxiety, and encouraging restful sleep. Start your journey to better health with Aponi Elixir today! I have been looking for a natural product to help in relaxing my mind and control some anxiety and this CBD elixir really works. It not only helps me relax but it also helped me to sleep. I would recommend this product. It also has a pleasant pineapple taste. Good flavor and good quality. Love this pineapple CBD elixir for going to bed. Keeps me calm and cool. I was really impressed with this CBD Elixir and even more impressed with the way it made me feel, and also because of the pineapple flavor. Really refreshing and I like to use it either in my tea or in a pina colada on the weekends. I love this website and I love the fact there are so many quality products on here. So far I have given five stars on everything. Thank you. Sent this CBD elixir to my bf while we were apart as a gift since he’s been feeling anxious and he loves it! He wants to try the other flavors as well. 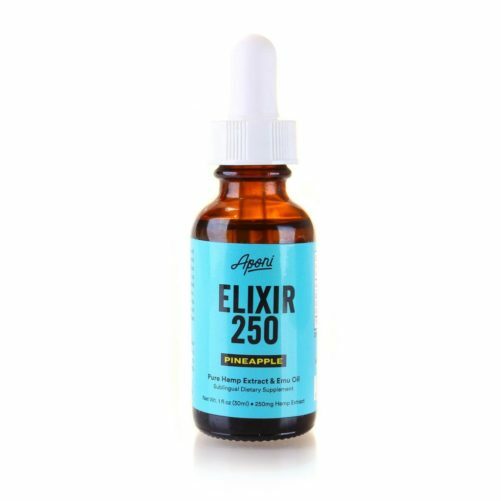 Great Pineapple CBD Elixir! Like it better than other brands that have way too many artificial flavors added and give me headaches. Yummy and quality! Used this CBD elixir in some pineapple martinis I made for a girls night. My friends loved it and we all sat back and relaxed, watching a movie…. so nice! Can’t wait until another girls night to use this elixir again. Combating anxiety is something that I have struggled with all my life. I tried CBD and loved the feeling. This CBD elixir is a real game changer when I consider how I felt BEFORE. Never going without this stuff! 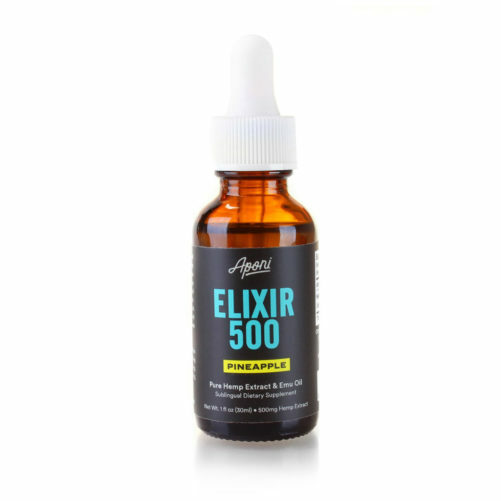 Mixed this cbd elixir with my coconut juice and was SO GOOD. 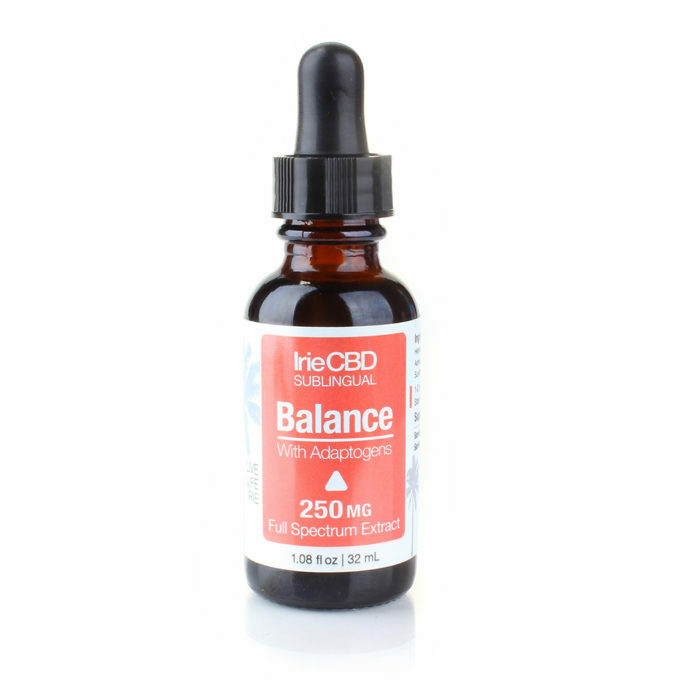 A cbd elixir with a taste that I don’t get tired of! Pineapple flavor in . this is good. I would buy this cbd elixir again. i have bought an elixir before from another company and tasted like chemicals. Makre sure you buy from reputable company! 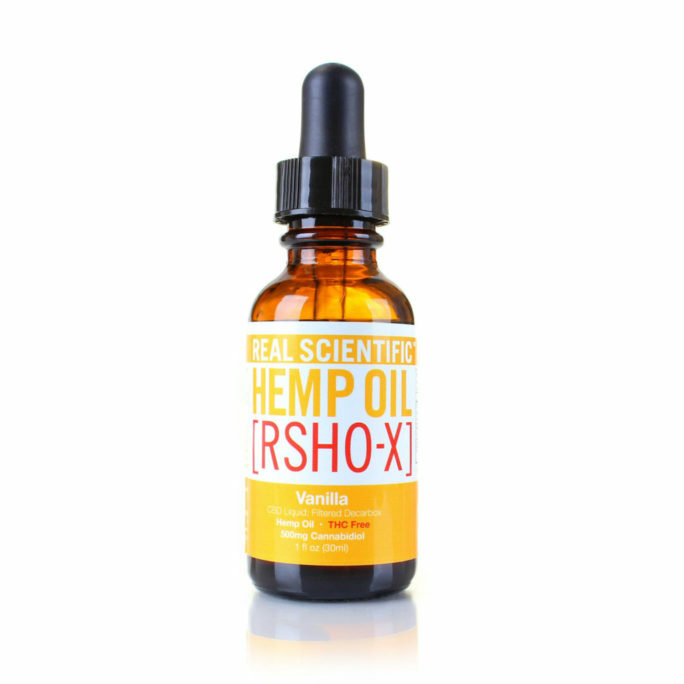 I have the worst inflammation in my left hand and this CBD elixir is a lifesaver in so many ways. It really helps relieve the tension and discomfort so I can perform my everyday tasks. 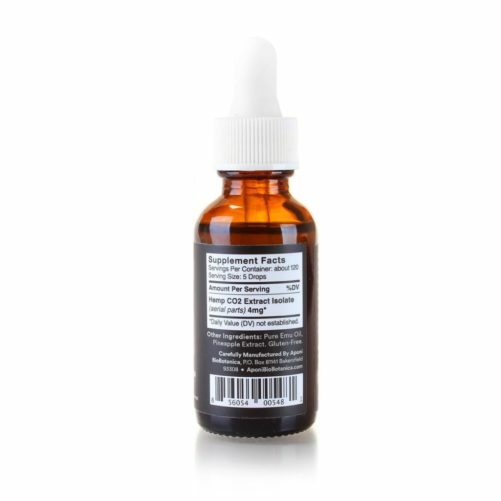 I bought this a few weeks ago for the inflammation in my knees and it has helped me so much. What a great and valuable cbd elixir. This product and products like this should be in every home. Natural products are the way to go. 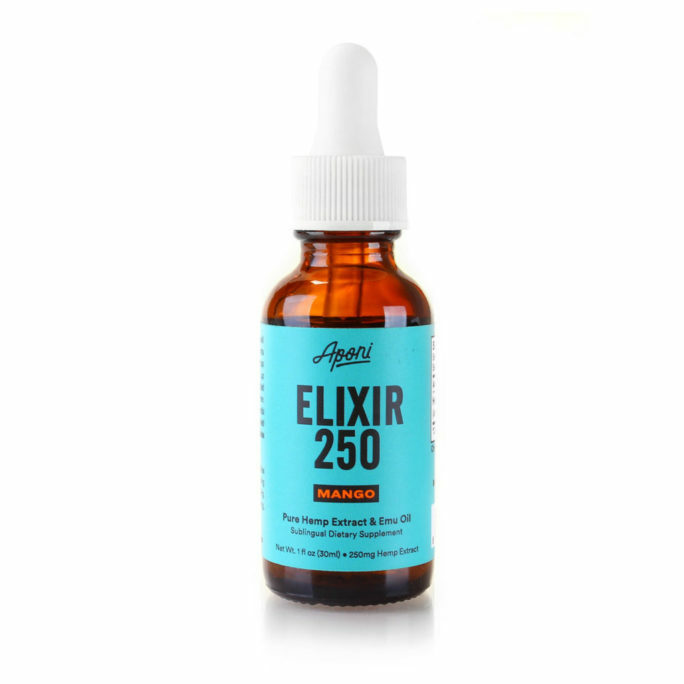 I have been using the CBD elixir 250 while traveling on business trips and I have noticed that it has helped with my anxiety and sleep schedule. I still get a little nervous when dealing with new clients and have had my fair share of sleepless hotel nights. 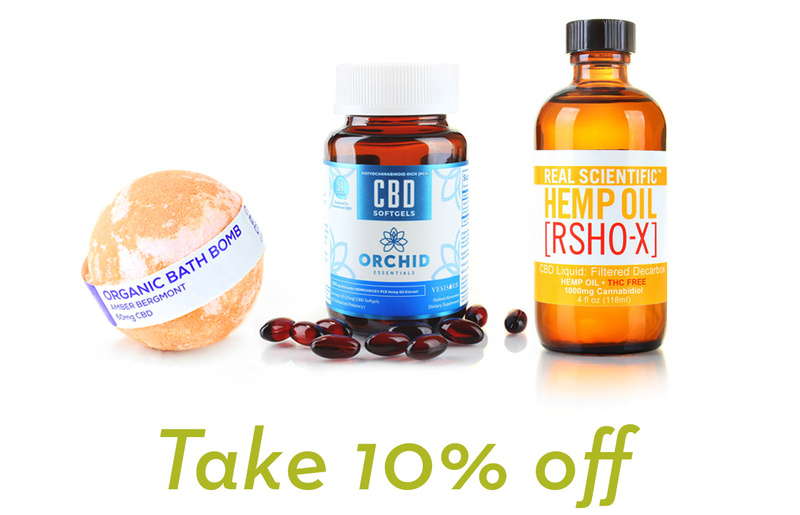 CBD has helped calm my nerves in the office and in bed! Directions: Shake well before use as pure ingredients naturally separate. Place 5 drops under the tongue (sublingually) up to three times a day or as recommended by healthcare practitioner. Hold under tongue for 20 seconds before swallowing. Store at room temperature.